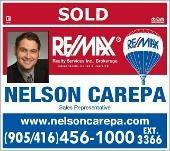 RE/MAX - "Nobody Sells More than RE/MAX!" In 30 years RE/MAX has acquired the signature of professionalism, giving recognition to realtors worldwide, as successful fulltime experienced professionals. 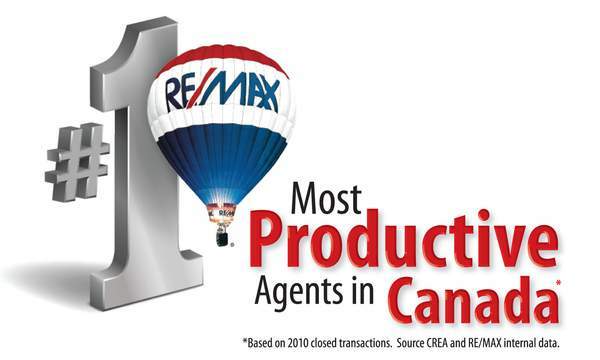 Discover the facts on why RE/MAX is Canada's #1 Negotiators! Started by two "20-something" real estate agents with a pen and pad on a kitchen table in 1973 to the global organization that exists today RE/MAX Ontario-Atlantic supports over 5,000 sales associates. Follow their journey around the world and in the community as RE/MAX is established as the "Leaders in Real Estate". On its 5th birthday, RE/MAX boasts 1,000 Sales Associates and launches its first widely recognised trademark - the RE/MAX Hot Air Balloon . And still to this day the Hot Air Balloon trademark is well known all over the world. RE/MAX makes that big jump and "travels across the pond" to Europe . RE/MAX celebrates it quarter century birthday with 48,000 Sales Associates in 2,900 offices around the world. RE/MAX's global reach now extends to Australia, Singapore, Turkey, the Southern United Kingdom and Ireland . The RE/MAX franchise network, now in its 31st year of consecutive growth, is the most recognised global real estate system operating in 67 countries. More than 7,016 independently owned offices engage 113,385 member sales associates who lead the industry in professional designations, experience and production while providing real estate services in residential, commercial, referral, relocation, and asset management. The RE/MAX World Long Drive Championship is the largest grass-roots long drive competition in the world. More than 12,000 competitors on 300 different golf facilities will try to reach the finals and take home their share of the $325,000 purse.